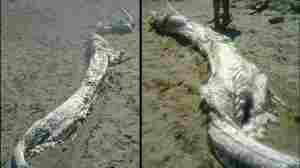 August 23, 2013  Just what did wash up on a beach? At first, there was wild speculation. Now, the thinking is much less dramatic. But check out photos of the rather gross remains found in Spain.